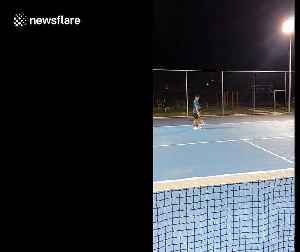 Hilarious footage of a labradoodle catching dropped balls from his owners&apos; tennis match in Adelaide, South Australia. 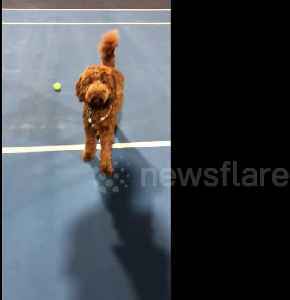 Hilarious footage of a labradoodle catching dropped balls from his owners' tennis match in Adelaide, South Australia. The clip, filmed April 14, shows Meeko the nine-month-old pup running after the..
Are you at that point in your relationship where your friends can barely stand to watch how disgustingly adorable you and your partner are? Buzz60's Maria Mercedes Galuppo has more. 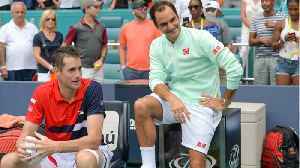 The 37-year-old Swiss star brushed aside injured John Isner of America 6-1, 6-4 to lift his 101st ATP title at the Miami Open on Sunday. In this episode of Spodcast, Firstpost's daily news podcast, we discuss Kings XI Punjab's thrilling win over Delhi Capitals in the IPL, Indian juniors' medal streak at Asian Airgun Championships and..
Was it just good fortune, as Federer put it, that he managed to stay the course till the very end in Miami? Or was it better planning and execution? 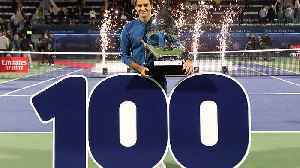 Every match of Federer's up to the final showcased a..
Roger Federer defeated a hobbling John Isner 6-1 6-4 for his 101th career title at the Miami Open on Sunday (31 March). Federer booked his place in the summit showdown of the tournament after a comfortable 6-2, 6-4 win over Canadian teenager Denis Shapovalov in a one-sided last-four clash of the men's singles event. Roger Federer edged closer to his fourth ATP and WTA Miami Open title on Wednesday, swatting aside Russia's Daniil Medvedev 6-4, 6-2 in only 61 minutes. But fourth seed Federer broke back in the next game and seized the momentum when he blasted a cross-court forehand winner to break Krajinovic again and take the first set. 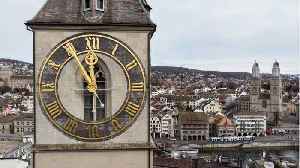 The Swiss coasted after that,..
Albot could not convert a break point in the deciding set tied at 3-3, and the Swiss took command from there to wrap up a match that lasted two hours and 10 minutes. Dominic Thiem claimed the biggest title of his career on Sunday, when he defeated Roger Federer in the final of the Indian Wells Masters 1000 event. In his third final appearance at this level, the..
Federer had earlier booked his place in the final of this year's Indian Wells after his great rival Rafael Nadal withdrew shortly before their eagerly-waited semi-final clash due to a knee injury. 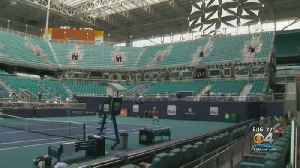 "It feels just unreal what happened in this 10 days," Thiem said. "I came from a really bad form in all categories, and now I'm the champion of Indian Wells. 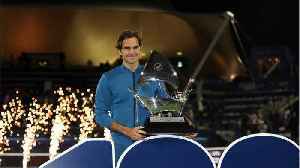 It feels not real at..
Federer's most recent meeting with Thiem came last year when the Swiss star clinched a straight sets victory in the ATP finals. Rafael Nadal withdrew from the Indian Wells tournament on Saturday with a knee injury, shortly before his eagerly-awaited semi-final clash with great rival Roger Federer.